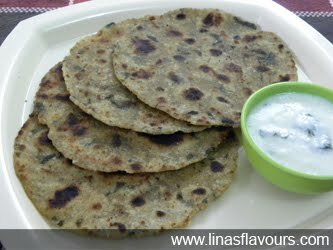 Make small balls, dip in flour and roll the parathas of about 4 to 5 inch diameter. Take a tawa/griddle and cook parathas on both the sides smearing it with oil. Serve it with curd, raita or pickle.